The following post is sponsored by Netflix and Beat Bugs, a new family show inspired by the music of the Beatles. Philosophically, I agree with the theory that kids should choose their own passions. I have seen the results of pushy parents who force their kids to be involved in the activity of the parent’s choosing, with no regard for the child. I’ve watched kids cry while being forced out onto a baseball field. I’ve seen parents insistent that their preschooler learn violin. And we’ve all seen commercials for that show Dance Moms. Clearly, I don’t want to be that kind of mother. I want my kids to choose what it is that they love instead of being forced into a hobby that isn’t a good fit. At the same time, I do think that kids need some gentle encouragement, because seriously . . . what child naturally decides to take piano lessons or signs themselves up for a group sport? Obviously, parents are behind these decisions for younger kids. Coming from a rather musical family, I’ve always felt that kids should at least be introduced to musical concepts, and know how to play one instrument proficiently. And yes, perhaps that fact puts me in the category of the pushy parent I described above, but there it is. I don’t need my kids to be concert pianists, but I’d like all of them to be able to read music and having a working knowledge of chords and theory in case they decide that music is something they want to pursue later in life. I don’t care what instrument floats their boat, but I think the arts are important. 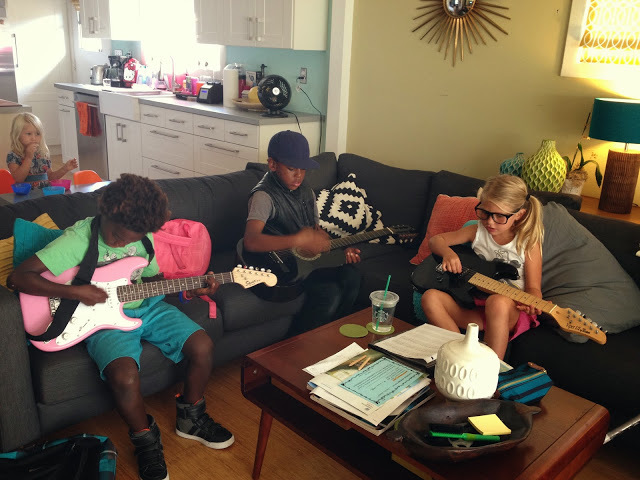 To me, having my kids know how to play an instrument is the gift that keeps on giving. It’s a hobby that can be enjoyed all through life. While I had a lot of passions as a kid, few of them have stuck with me the way music has . . . I don’t do a lot of gymnastics or cheerleading these days, but I still enjoy sitting down at the piano. In addition to the gift of knowing how to make music, I also think there are huge cognitive benefits of kids both learning, and listening to, good music. When my kids were little, the Mozart effect — the notion that you can increase intelligence by listening to Mozart’s music — was a topic of discussion in parenting circles. Research has shown that kids with music training do better in science, score higher on IQ tests, and perform better in school all-around. 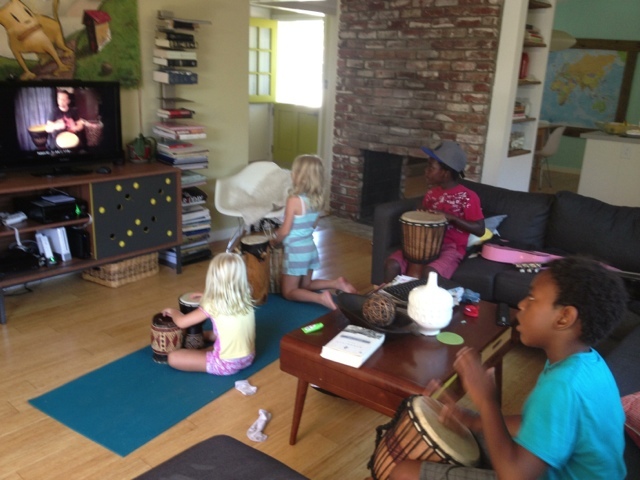 Consequently, I make all of my kids take regular music lessons in the instrument of their choice. My mother did this as well, and I’m glad she did. I ended up majoring in piano performance for two years in college, even though at age 6 I was kicking and screaming over lessons. Does that mean she chose my passion . . . or does it mean that she taught me discipline until my own passion matured? I think it’s the latter. I’ve also always tried to have a home that is full of music. (And a car full of music as well.) I’ve never been able to tolerate kids’ music. The simplistic melodies and repetitive refrains drive me nuts, and I wanted to cultivate appreciation for more complex music. So my kids have always listened to whatever I wanted to listen to . . . from pop to musical theater to the songs of The Beatles. Music is important to my family because it's a different way of connecting to the world. When you can perform, you can serve. I think about singing carols in nursing homes or babysitting kids. We're expecting our first kid and planning on requiring piano lessons for many of the reasons you mentioned. Cultivating discipline and a learned skill, regardless if they stick with it after however many years. 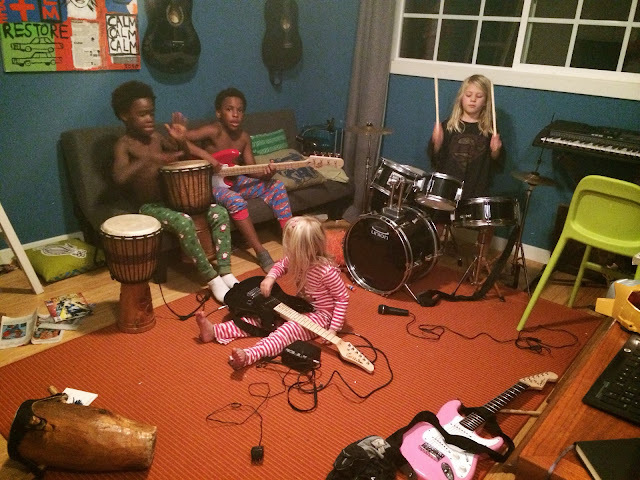 Music is a common interest for all 4 of my kids, my husband, and me. Dance parties and sing-alongs happen spontaneously. I love having my kids listen to the music I love and I'm loving having my tweens introduce me to the music they love.